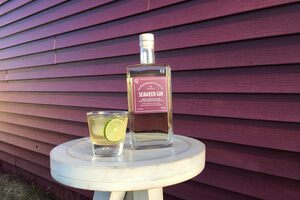 Seaweed Gin pairs perfectly with, well, things from the sea. Oysters and clam chowder are favorites, but some also suggest sushi. To double down on the seaweed theme, rim the glass with seaweed salt, and drink chilled neat or on the rocks.